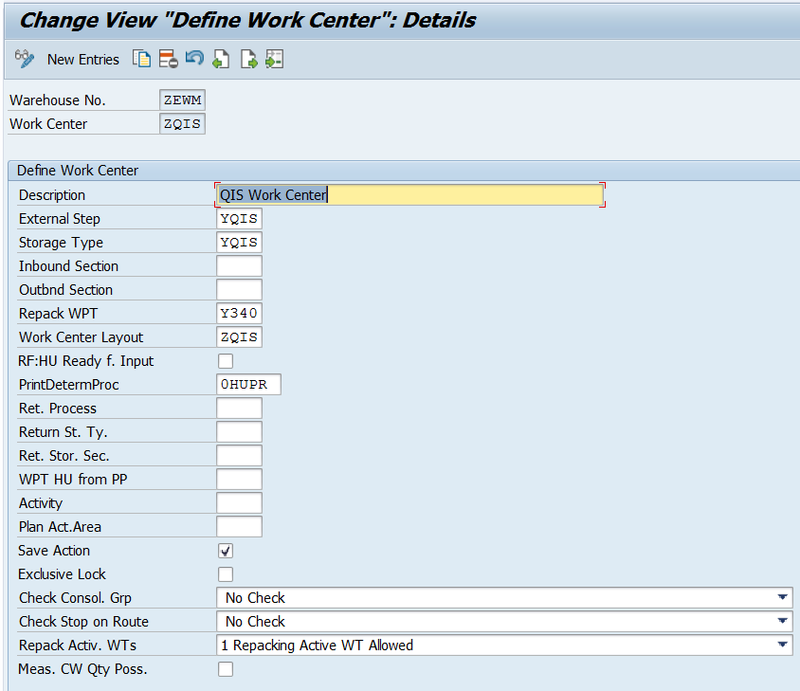 The main purpose of this blog is to share about EWM-QM integration setup and transaction processing with one example. Typically all SAP folks seen about integration between WM and QM in ECC system, Integration between EWM and QM in decentral system. 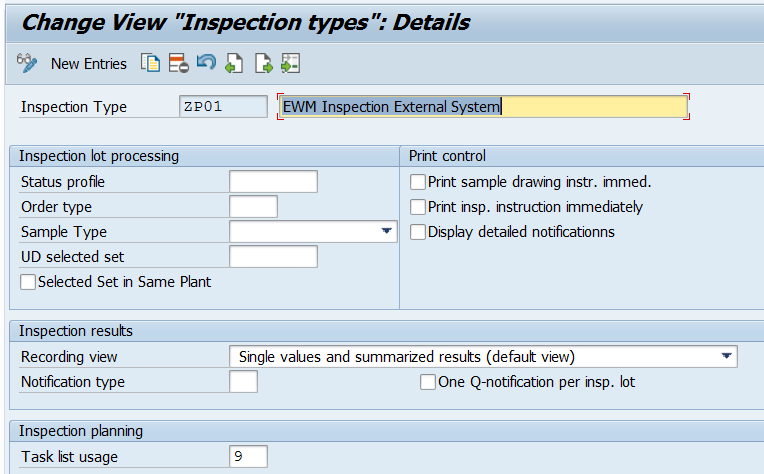 But many has confusion about how EWM-QM solution works in Embedded S/4HANA system 1709 and above. This blog will help to people who are working on S/4HANA 1709 and above implementation projects. Below is the inspection process flow diagram at highlevel. 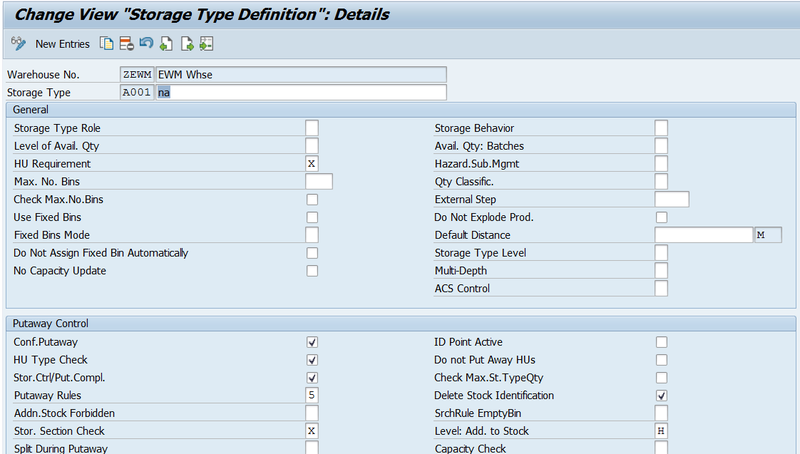 Below we will see all configuration requirements and transactional steps execution. On the Generate Inspection Object Types Version screen, select the line IOT 4. Press the button “Generate New Version”. Confirm the Pop-Up by pressing Enter. In this step the products (the actual products as well as the packaging materials) which are used in the business processes are initially created as EWM warehouse products. 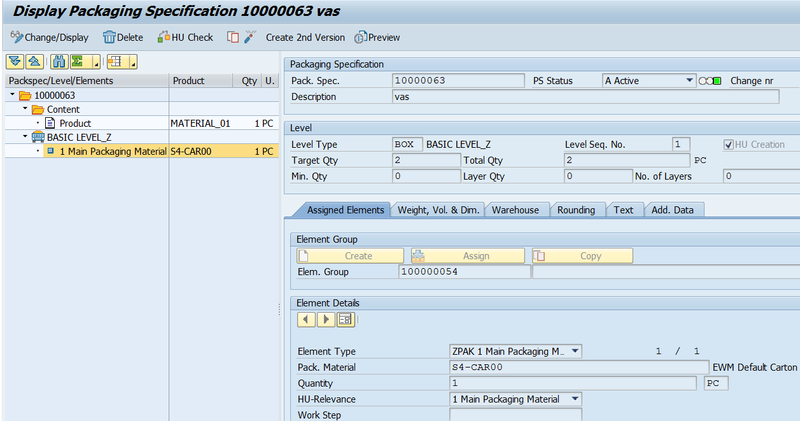 Maintain packing requirements for product. 35. 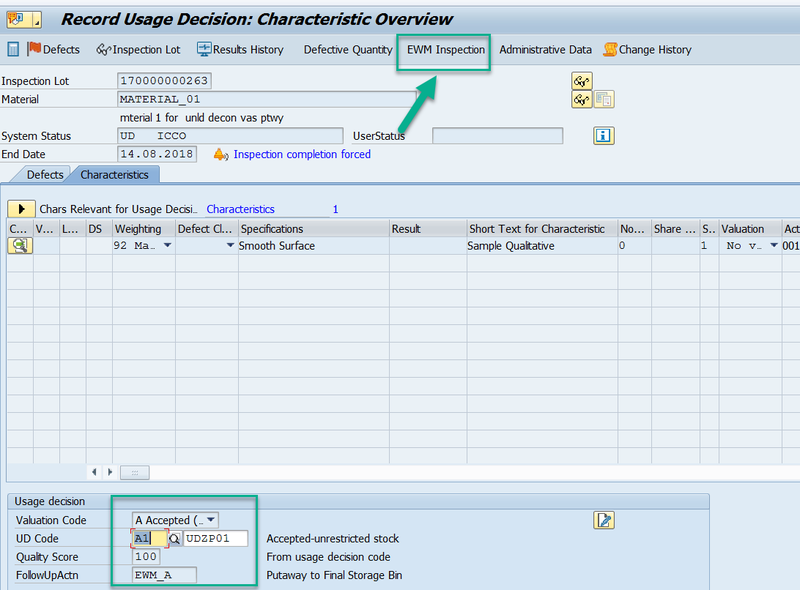 Transaction data: Now we will the inbound flow for EWM-QM in S.4hana 1709 system. Check PRDI for IBD and packing information. 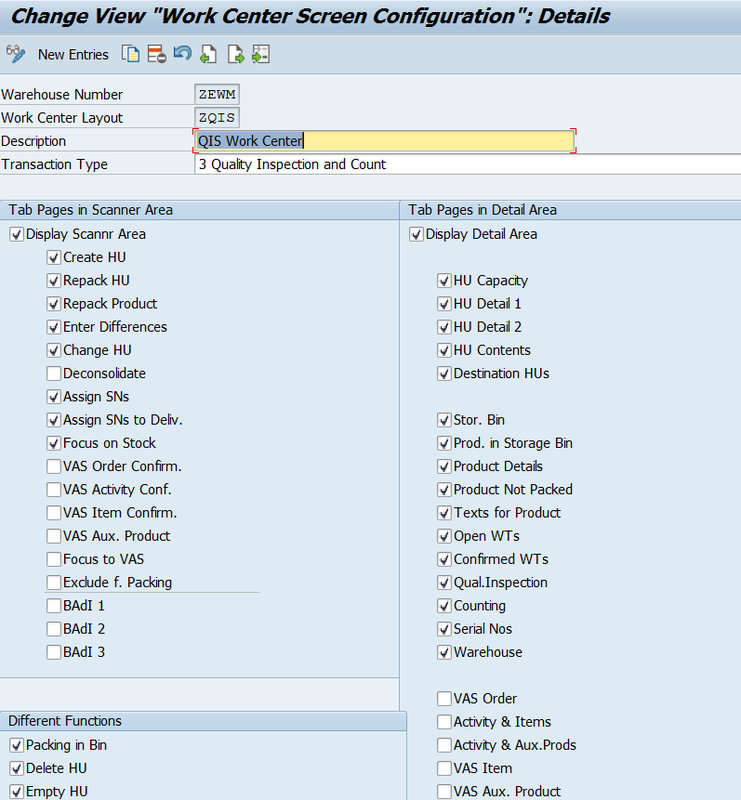 Create warehouse task for the IBD. Now go /SCWM/MON and check if the open unload task is available for confirmation. Confirm in the background. GR will also be posted. 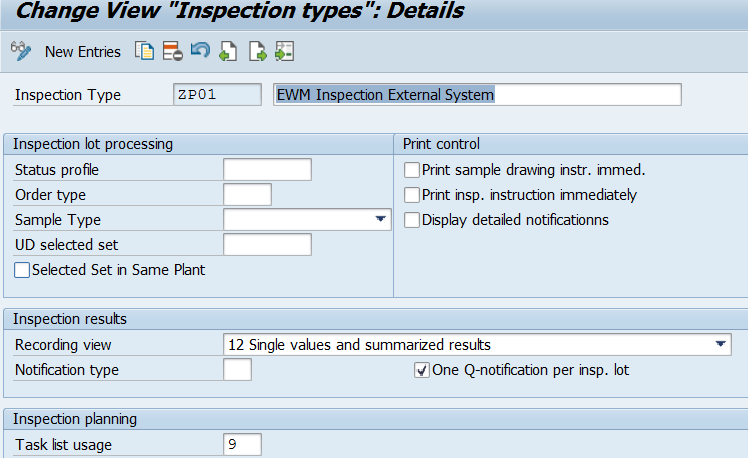 We can also check the inspection lot details in QA32/QA02. Once unloading task is confirmed we can observe the Quality task got opened. Confirm it to start the inspection process. We can observe the GR posted. After confirming the 2nd warehouse task final putaway task is still showing in waiting. It will be opened when the inspection process is completed. So stock is still in Q4 status. 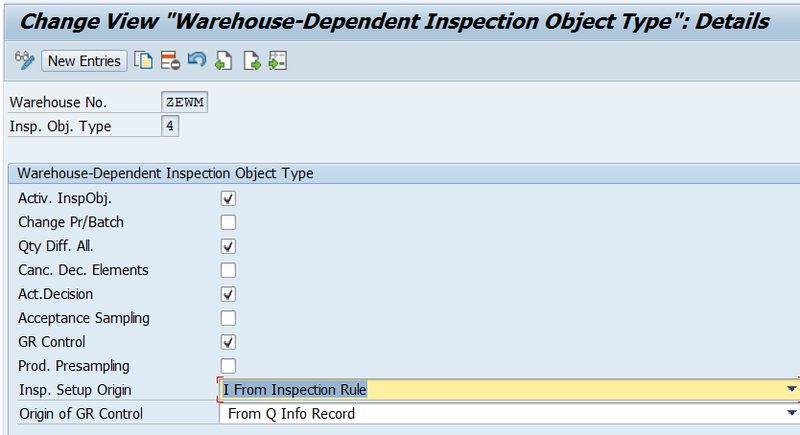 Check QA32 for inspection lots created for this material and initiate the usage decision for it. 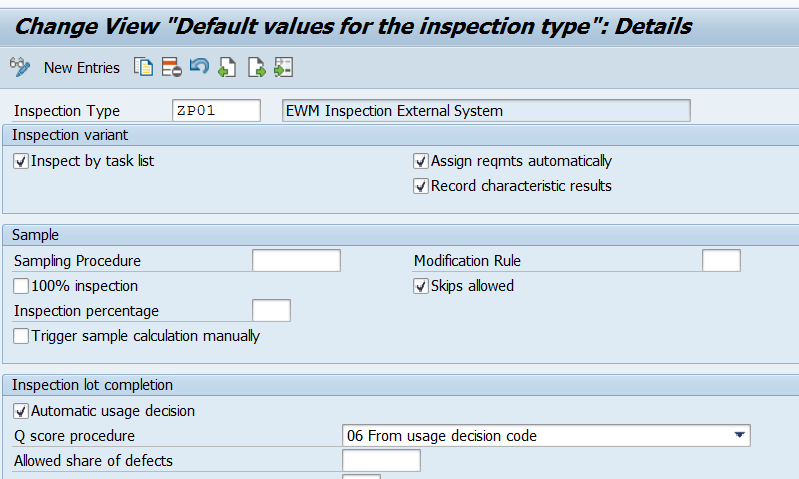 Here once we give the UD code as accepted, click on EWM inspection to check the details. Another screen gets opened(/SCWM/QINSP_S4), here select the line item and click on Close HU and Save. Once fllowup action given, close the HU. 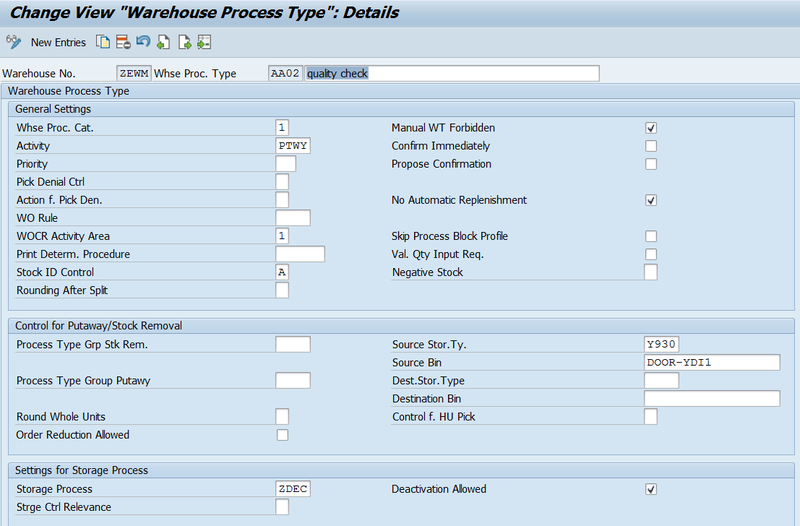 We can also see the open warehouse tasks which are pending for usage decision in /SCWM/QINSP_S4. Here we can observe Posting change happened to Q4 TO F2. Final task opened with Stock status F2. Inspection Lot details can be seen in QALS table. We can see the material document created for stock change(PCN-321) and the goods receipt posting 101 movement also can be observed. 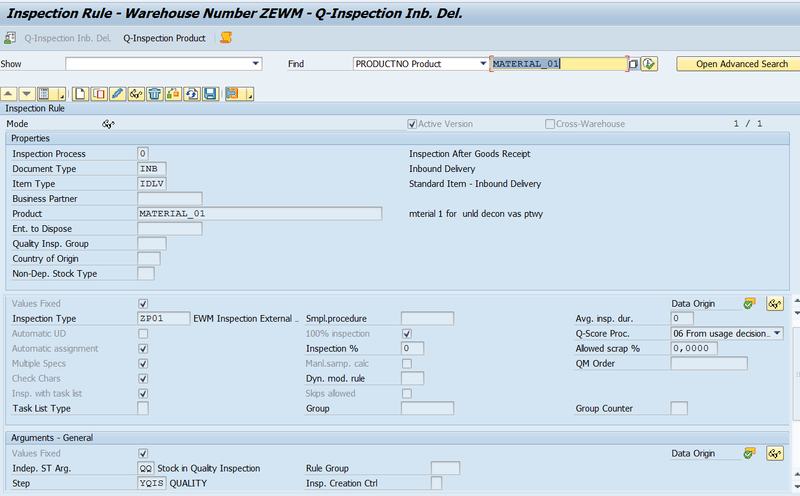 Some time back when one of my client asked to show demo in S/4system about QM inspection process, I struggled a lot to build the end to end flow and not found much information in any website. Considering that in mind, I want to share the process I built for my client. This may not be the only process we can build but, using this as a reference you can build more complex scenarios based on your client’s requirement. nice Instruction Guideline. It was very helpful. But during selecting the decission code I get an error Message e085(/scwm/qui_wrkst) in QINSP_S4, which is saying “Follow-up Code EWM_A is not valid”. We have also choosen the follow up action L Usage Decision for Inspection Lot. But in the coding I found the following selection.